Police are appealing for witnesses after a man suffered serious facial injuries in an assault in a Morley nightclub. Leeds District CID would like to speak to anyone who witnessed the incidnet at JD’s sports bar on Commercial Street on March 25. It took place between 12am and 2am after the victim, a 43-year-old man, was punched from behind while he was stood at the bar area near the dancefloor. He was knocked unconscious and was later helped out of the club by a member of the public. 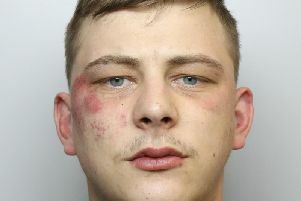 DC Simon Goldie of Leeds District CID, said: “We would like to speak to anyone who witnessed this incident in which a man has suffered a serious injury to his jaw after being attacked from behind by an unknown assailant. “The victim required hospital treatment as a result of the attack and I would very much like to speak with anyone who saw what happened or has information about the attacker.